- Select Wipe and move the "slider", if you want, then click on the square and wipe it manually select all available items in addition to sd card. - Select Install, select the firmware, wait until the installation is complete, and then select the file again with google apps. How to install ? 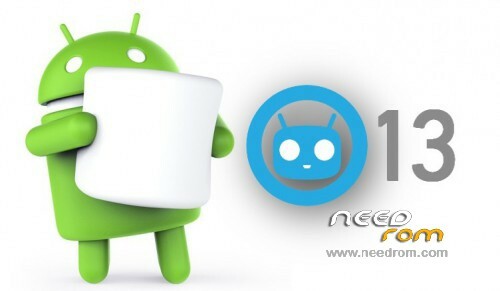 i'am use cm11 with recovery TWRP 2.8.10, i'am to install error 7, how to problem ? How to fix error 7 ? This for the A706 or A760 ? Perform Factory Reset And Wipe Cache. If Problem Persists, Wipe Dalvik Cache. That Should Sovle The " error 7 " Issue. you can to install CM13 mr. peno ? i'am error 7, my base cm11 with recovery TWRP 2.8.10.. This link is not working for download. Is CM 13 Great ? Does is slow down or speed up The phone ? Please reply me. Hey Dev, I'm Getting An Error – " E : Cannot Update Binary storage/sdcard/path " And Failed To Update Binary . Then Phone Is BootLooped. Again Reset And Install CM 11. Is This ROM For A706 Only ? Hey, Keyboard Stops Working When G-Apps Package Is Flashed And No Root Access In CM File Manager. Also, When Rooted, SuperUser Dosen't Ask Permission, Just Bluntly Denies Every App. Please Fix This Issue.